One car, however, will not relocate to Holland but instead return to the racetracks of Europe. Porsche 956, chassis no. 104 has been loaned by Mr. Kaus to former Sports Car Challenge competitor Alexander Seibold, who is working to get the car back in shape for a season in Group C/GTP racing. Active from 1983 to 1986 in the hands of Joest Racing, the car won the German Rennsportmeisterschaft in its first year of competition, with Brilliant Bob Wollek at the wheel. Wollek and Thierry Boutsen were also responsible for the first victory of a privately campaigned 956 over the works cars, at the Monza 1000k the same year. In three outings at Le Mans (1984/85/86), a third place for George Follmer / John Morton / Kemper Miller was the best result. As an interesting side note, 956-104 was also the only sports prototype Ayrton Senna ever raced, at the Nürburgring 1000k of 1984. 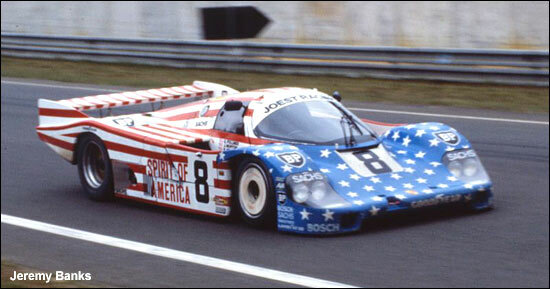 Used primarily in the Interserie in 1986, the trusty 956 and driver “John Winter” were Interserie champions; after 94 races, the car retired from competition on October 12, 1986, with a fourth place at the Österreichring.